The fastener is inserted into punched holes in the stack of paper and the leaves, or tines, of the legs are separated and bent over to secure the paper. This holds the pin in place and the sheets of paper together. For few sheets of paper, holes can be made using the sharp end of the fastener. 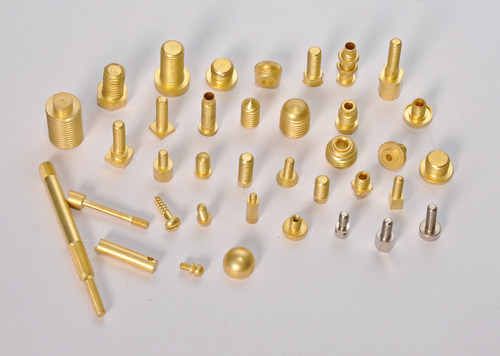 BHARANI BRASS INDUSTRIES established during the year of 1974 by Mr. BHARATBHAI BHARANI with a motto to manufacture and supply the products of the highest quality material of precision BRASS TURNED COMPONENTS & SERVICES mainly to Electrical/Electronics Auto, Engineering, Hardware Industries and Energy Meter Manufacturing Companies and many other users of precision approved products who hold ISO 9001 AND ISO 9002 Certification through out the country and abroad to their utmost satisfaction. BHARANI BRASS INDUSTRIES has a dynamic self motivated professionals with MOHANBHAI BHARANI, a young energetic and spiritual personality, at helm as Managing Partner, being assisted by well experienced stout and keenly interested personality KISHAN BHARANI, who made it possible to make a BHARANI BRASS GROUP INDUSTRIES. Our products and solutions lead to optimization of SALES AND MINIMIZATION OF COSTS ECONOMICALLY. Apart from the above quality conscious production is undertaken in accordance with the samples / Drawings specifications at International Standards. Our Products confirm to the requirements of UK National/European, American and other Country's Standards and as such find almost green channel treatment with Original Equipment Manufacturers all over. Our current supplies are mainly to the End Users in our Country as well as Abroad of a comprehensive top quality product range.